Transportation and Traffic Managers are burdened every day with the daunting task of balancing meeting their customers deadlines and moving their product economically. ST understands this delicate balance and we strive every day to provide not only exceptional services, but offer cost savings solutions as well. If you have freight you need transported give ST a call today at (920) 686-8200 and let us take a load off your mind! Weekly Pay: Unlike many brokers who only pay their agents once your customers have paid, ST pays by direct deposit bank draft every Friday for all loads that have been invoiced by midnight of the previous Saturday. Work From Home: Since you only need a dedicated phone line, a computer with Internet connection and a fax machine, you can work from home or your current office. ST offers agents the freedom to work from home and work your own schedule. If you want to take off on Wednesday’s to volunteer at your child’s school, you can. 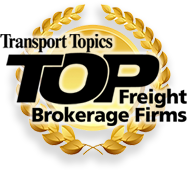 Access to Load Posting Sites: ST freight broker agents state that the biggest benefit offered by ST Freight is the company’s automatic load posting option which enables agents to simply broadcast load requests to over 50 various posting boards and load boards. Access to Carriers: ST currently has over 30,000 approved carriers set up and ready for you to use and are adding more daily. In fact we have a full time person dedicated to approving new carriers who come to us on a daily basis. New carriers can be set up and approved quickly, once we receive the necessary paperwork. Quick Credit Approval: We make it easy to get your customers set up. We will pull & review the customers credit file and can approve customers in as little as fifteen minutes. Share Loads: ST upholds a pragmatic freight broker philosophy, especially when it comes to sharing loads. Our philosophy is that when it makes sense to share loads we will help you do it. Some brokers don’t want their agents to share loads, but ST wants you to service your customers effectively. When this happens both booking and selling agents can be more profitable. If you are having difficulty finding a truck to move a load, we facilitate effective load sharing where everyone wins. Qualifications: We are currently adding experienced agents with a book of business of at least $250,000 per year or more. If you meet this criteria, fill out the agency application and send it back to me. I could have you on board this week yet! Thank you for your interest. I’ve been working with ST Freight as an agent for a while. They are a great company to work for. Great support and a friendly place to work. They make you feel like family and they care about their agents. They are always there if you need support of any kind. If you’re hunting for a new home, look no further than here, they are the people to work for. Opportunity was what drew me to STF. What I found after starting here was that this is a family that is all striving for the same goal, success! I love the flexibility and freedom that comes with my job and I greatly appreciate the support and camaraderie that is provided at STF. I have been in the Freight brokering industry for many years, and have gone from Managing Freight brokerages to working from home as a home based agent. Working as an agent with ST Freight has really been a blessing. 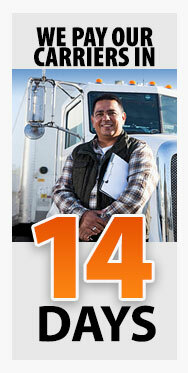 ST Freight has superior service and back office support for both customers and carriers. The quick turnaround really helps in the sales process to keep customers satisfied, which in turn increases sales. As an agent, the income potential is unlimited and I am sincere when I say this is the best career path one could choose.